Iris recognition is an automated method of biometric identification that uses mathematical pattern-recognition techniques on video images of the irises of an individual’s eyes, whose complex random patterns are unique and can be seen from some distance. Not to be confused with another, less prevalent, ocular-based technology, retina scanning, iris recognition uses camera technology with subtle infrared illumination to acquire images of the detail-rich, intricate structures of the iris. Digital templates encoded from these patterns by mathematical and statistical algorithms allow unambiguous positive identification of an individual. Databases of enrolled templates are searched by matcher engines at speeds measured in the millions of templates per second per (single-core) CPU, and with infinitesimally small False Match rates. Many millions of persons in several countries around the world have been enrolled in iris recognition systems, for convenience purposes such as passport-free automated border-crossings, and some national ID systems based on this technology are being deployed. A key advantage of iris recognition, besides its speed of matching and its extreme resistance to False Matches, is the stability of the iris as an internal, protected, yet externally visible organ of the eye. 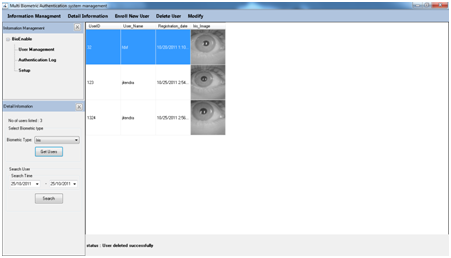 Rapid and accurate iris identification, proven by NIST IREX. Robust recognition, even with gazing-away eyes or narrowed eyelids. Original proprietary algorithm solves the limitations and drawbacks of existing state-of-the-art algorithms. The algorithm is able to detect irises under various difficult conditions, like visual noise, lightning reflections or obstructions in eye images. Gazing-away eyes and eyes with narrowed eyelids are accepted. A number of iris capture cameras and multi-modal face-iris devices are supported by software. 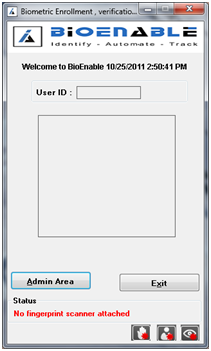 Available as multi platform SDK that supports multiple programming languages. Computer requirements: Pentium and Above. It is an internal organ that is well protected against damage and wear by a highly transparent and sensitive membrane. This distinguishes it from fingerprints, which can be difficult to recognize after years of certain types of manual labor. The iris is mostly flat, and its geometric configuration is only controlled by two complementary muscles (the sphincter pupillae and dilator pupillae) that control the diameter of the pupil. This makes the iris shape far more predictable than, for instance, that of the face. The iris has a fine texture that—like fingerprints—is determined randomly during embryonic gestation. Like the fingerprint, it is very hard (if not impossible) to prove that the iris is unique. However, there are so many factors that go into the formation of these textures (the iris and fingerprint) that the chance of false matches for either is extremely low. Even genetically identical individuals have completely independent iris textures. An iris scan is similar to taking a photograph and can be performed from about 10 cm to a few meters away. There is no need for the person being identified to touch any equipment that has recently been touched by a stranger, thereby eliminating an objection that has been raised in some cultures against fingerprint scanners, where a finger has to touch a surface, or retinal scanning, where the eye must be brought very close to an eyepiece (like looking into a microscope). While there are some medical and surgical procedures that can affect the colour and overall shape of the iris, the fine texture remains remarkably stable over many decades. Some iris identifications have succeeded over a period of about 30 years. 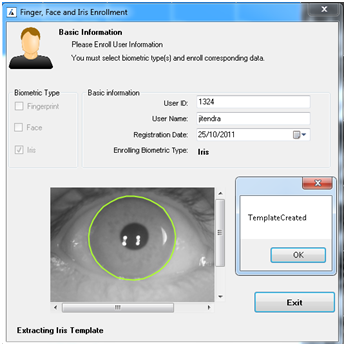 Multiple Iris scanner support: A number of iris capture cameras and multi-modal face-iris devices are supported by software. 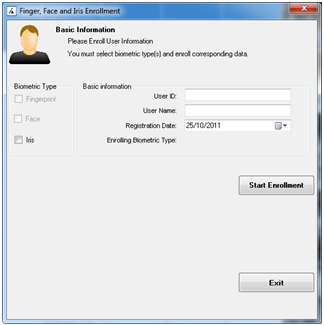 Database: It allows you to create image of biometric data along with data stored in the database. 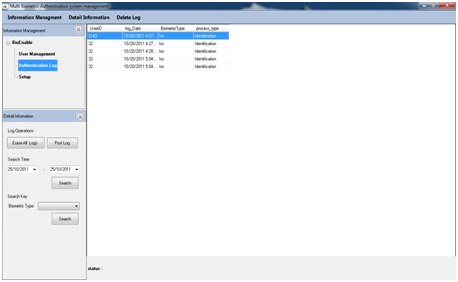 Maintains Logs of all authentications/verifications done on the system. 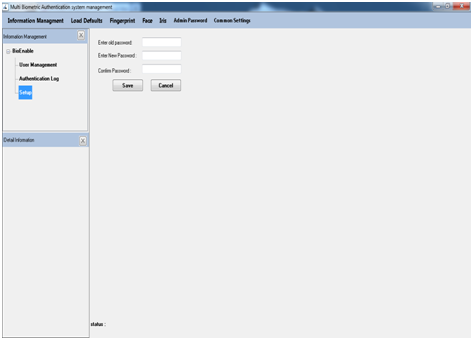 Logs can be easily imported to “BioEnable SmartSuite Web attendance System” or any third party attendance or payroll system. Extendability of face and fingerprint recognition. Image compliance with the ISO 19794-6:2005(E) standard. Speed 1~2 sec 1 sec. 1 sec. 18 sec. Token Size 224byte 400byte 256byte ?